Long time no post. The last few weeks haven't given me much knitting time. I started this blog to motivate me to shrink the stash. I started off with 67 projects, 14 of which were on the needles. The stats at this point are not looking promising. 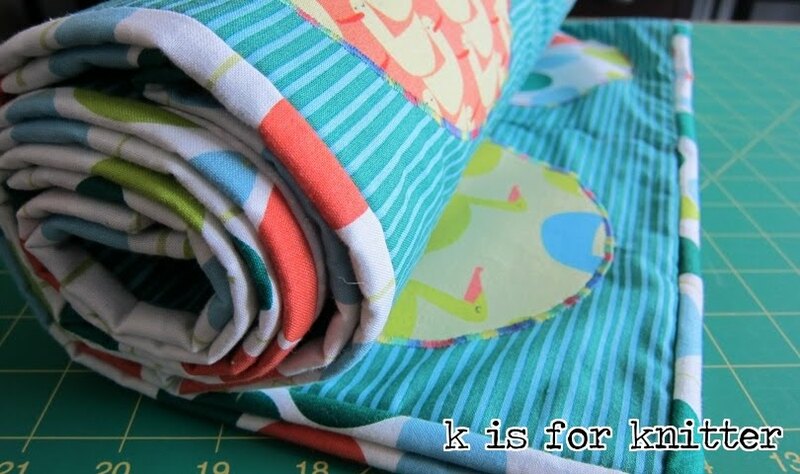 I have 75 projects in total, 13 in progress. Clearly the original plan was flawed. To deal with this and to compensate for my general avoidance of completing finishing work, I am instituting Finishing Fridays. This means that every Friday I have to do some sort of finishing: whether it's sewing buttons, weaving in ends, sewing seams or whatever else needs to get done. The plying for grandma's shawl is finished. Here's a blurry closeup. 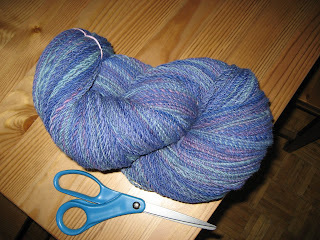 Many hours of spinning has left me with about 625 yards of two-ply, light worsted yarn. 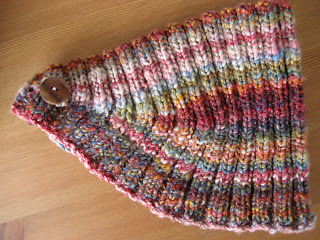 I've started to swatch for the shawl and so far it's knitting up beautifully. 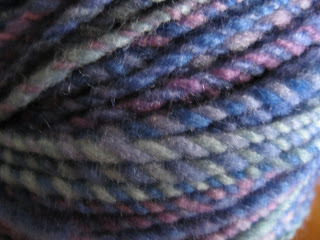 The thrill of knitting my handspun has yet to wear off. I love the way the colours in the yarn interacted with this pattern, moving from light on the edges to dark in the middle. Lots of people have posted about the finished product being too big. I opted not to modify the pattern and am very pleased with how it turned out. There is enough fabric to cover most of my head without being unnecessarily large. It is the perfect thing to help me through the cold snap we've been having the last week or so. 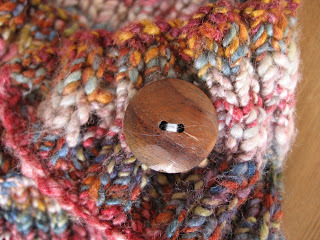 Here is a closeup of one of the buttons I sewed on today to finish this project up. Last but not least, I made the felted tote from One Skein. 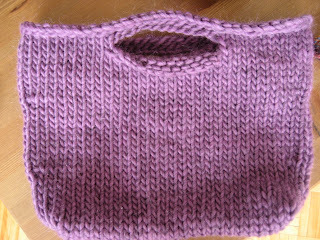 Another quick knit, made from Lamb's Pride Bulky in a colour called Wild Violet (a little darker than in this picture). I finally got around to weaving in the ends and doing the seaming. Next it's into the washer for a quick felt, hopefully I'll get that done when I go home next weekend. Now it's off to stand in line at the Lululemon warehouse sale. Posted by Amanda at 2:06 p.m.